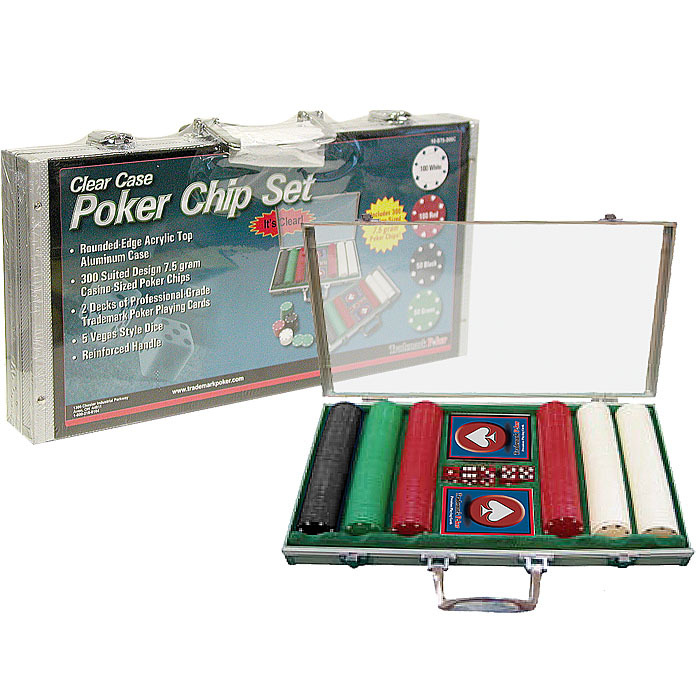 These designer round-edge acrylic top aluminum cases hold 300 poker chips, 2 decks of playing cards, and 5 dice. The clear top goes all the way to the edge on two sides, allowing greater visibility of the case’s contents. All poker chips are casino style 7.5 gram suited design. Playing cards are also quality-made and highly durable. Colorful insert is eye-catching and ready for retail.